IASTM is a non-invasive form of manual therapy that focuses on increasing blood flow to specific regions of a muscle, assisting in lymphatic drainage, and assisting with pain modulation. In addition to these benefits, IASTM has been shown to create a neurological response that "fast-tracks" the healing process by stimulating the nervous system. IASTM is commonly used in the treatment and recovery of soft tissue injuries and aides in the reduction of inflammation associated with injury. When muscles are overused or when injuries heal, the fibers of the injured tissue may regrow in a non-uniform pattern causing limited motion or pain during motion. 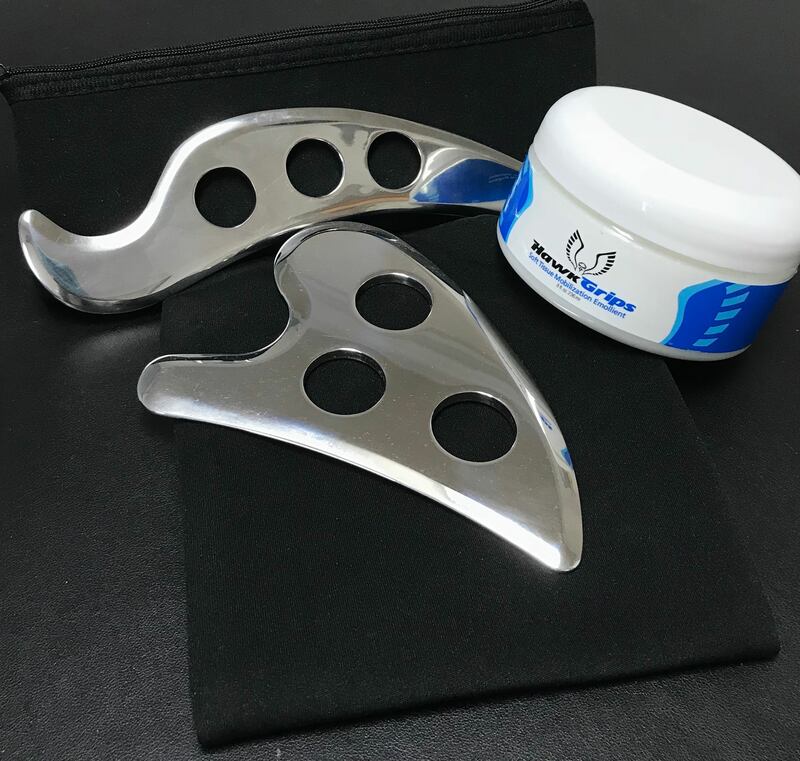 Soft tissue mobilization is accomplished through the use of scraping uniquely designed stainless steel tools along the muscles and tendons with the assistance of an emollient such as lotion or IASTM cream placed on the skin. IASTM is successful when there is an increased redness to the area being treated (increased bloodflow), NOT excessive bruising or “tearing” marks. Studies have shown that IASTM has positive effects on the body such as increasing recovery time post injury, increasing range of motion and reduction of scar tissue.